The “Keep Austin Weird” adage has grown to mean something unique among many Austinites—it’s long been a celebration of creative resistance, a clash between economic growth and eccentricity. In recent years, it’s also become a mantra for supporting locally owned businesses that maintain the city’s endearing oddness. Since 2013, Malvern Books has carved out its own niche in the Austin literary scene, one that will delight readers seeking books in translation and authors beyond their borders. 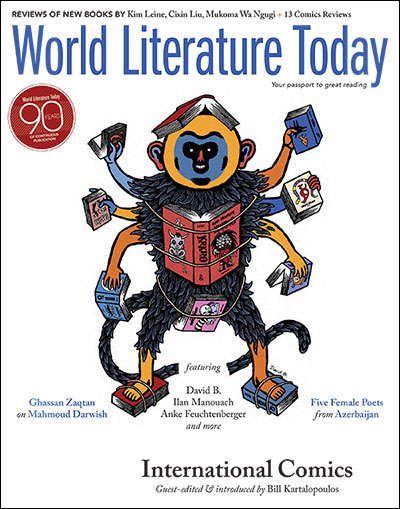 The store specializes in books from independent publishers, and its selection focuses on emerging authors from around the world. It was satisfying to discover that many of the newest books reviewed in the pages of WLT could also be found gracing the shelves of this modest-sized bookshop. Located near other Austin staples like Spider House Café, Beware Coffee, and the original Oat Willie’s, the bookstore is also a welcoming community space for readers who want to join in hearty literary discussion or writers who want to try reading their work in front of an audience. It hosts a wealth of literary events including book club meetings and monthly gatherings like Novel Night, Austin Writers Roulette, or the I Scream Social, which features an open mic and frozen desserts provided by Amy’s Ice Cream. Malvern Books hosts many local and American writers, but it’s refreshing to find that international authors are often among these visitors: Mohanalakshmi Rajakumar read from her recent novel, The Migrant Report, in January, and last fall Fiston Mwanza Mujila read from his book Tram 83 with the novel’s translator, Roland Glasser, and jazz accompaniment by saxophonist Chris Hall. 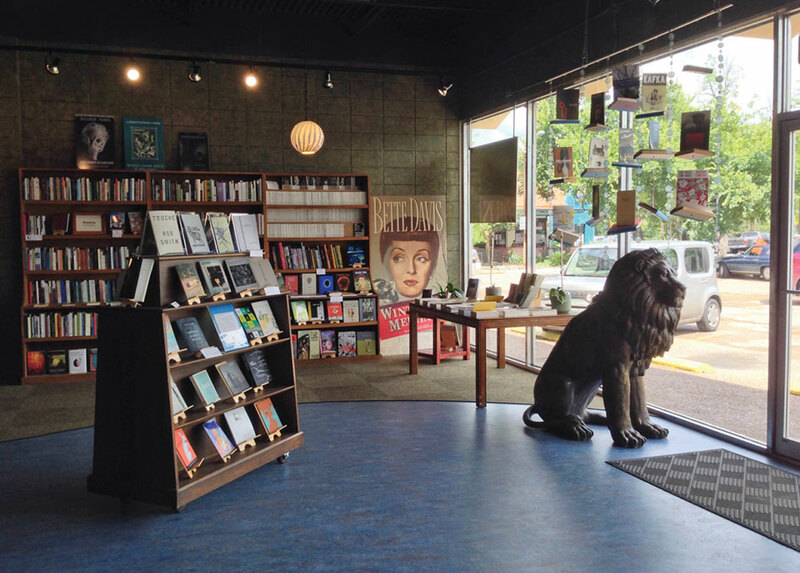 As a literary community space and a local hub for international literature, Malvern is a unique and welcome addition to Austin’s literary scene. Beyond Malvern Books, many other independent bookstores can be found in pockets throughout the bustling, offbeat city. BookPeople is Austin’s largest independent bookseller, and BookWoman is the city’s feminist bookshop, packed with a broad selection of poetry, fiction, and nonfiction by women writers. For graphic novels and comics, Austin Books & Comics and Dragon’s Lair ensure the city is in no short supply. South Congress Books features a unique collection of used and new books, and if your timing is right, you can find Fifth Dimension Books. It’s a traveling bookmobile filled with used science fiction and fantasy books that’s often parked on 43rd and Duval in the Hyde Park neighborhood. Jen Rickard Blair is the art and web director at World Literature Today.